Plenty of articles have been written about Bordeaux and its charms. However, this city is so much more than wine and beautiful monuments. It’s full of flavors, art and hipster spots and it’s time for you to discover them. Here are five under-the-radar things to do in Bordeaux that will ensure your trip is an unforgettable one. Darwin is an old military base converted into an urban space with a very cool vibe to it. Besides a chic restaurant and a big bio shop, you’ll find a skateboard park, a charity shop, a community garden and much more. Darwin is off the beaten track for many tourists because it’s located outside of Bordeaux’s historic center, on “rive droite”, the right side of the Garonne river. For locals, however, this is one of the most visited places in the city, and it’s easy to see why. While strolling between the hangars, pay attention to the amazing street art on almost every wall. They hold plenty of fun events on weekends, especially when the weather is good, so you might even get an extra treat when visiting. 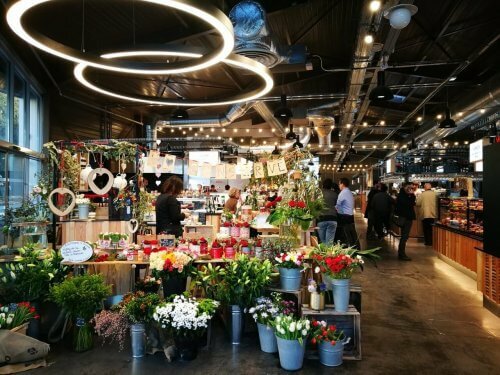 In the past year, Bordeaux has been booming with new stylish covered markets. 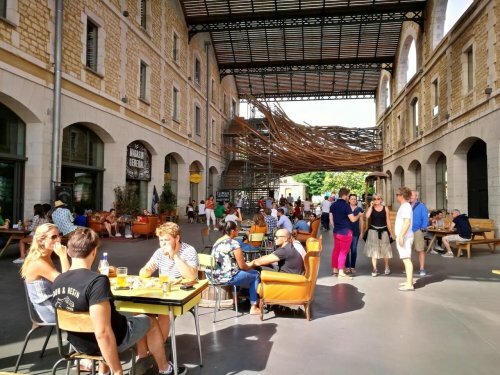 Since the end of 2017, three new markets have opened outside the city center, allowing people to discover other neighborhoods in Bordeaux. The first is Les Halles de Bacalan, which is located just in front of la Cité du Vin. It’s a beautiful modern market with high-quality products attracting many to grab a drink or a snack with friends. The other one is Halles de Talence shown at left, located in the southern part of Bordeaux. There’s a more local vibe to it as tourists usually don’t get to this part of the city. The most recent one is la Halle Boca, it’s called a food court but in reality, it’s a very upscale stylish food market. There are many more seats available at this one so if you’re coming with a big group, it’ll be easier to find a table here. The Boca is located very close to the Bordeaux train station and it’s open 7 days a week. 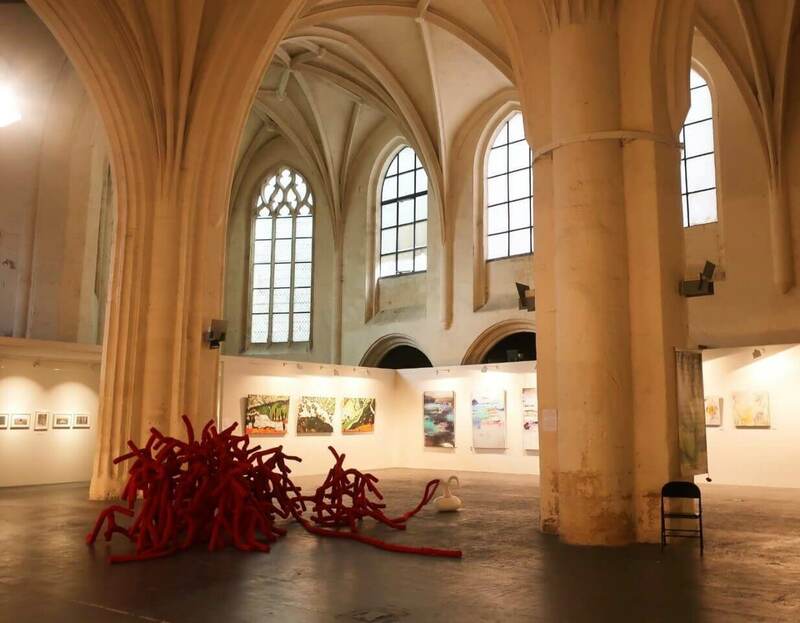 Espace Saint Remi is an old church converted into a cultural venue. Throughout the year it hosts temporary exhibitions and many cultural events like music concerts, dance shows, conferences and more. The exhibitions alternate several times a month so it’s always fresh and you can often discover some beautiful art. It’s in a very central location and the exhibitions are free so just drop by while strolling around the Saint Pierre neighborhood. While wine and oysters are the main stars of the area, Bordeaux also takes pride in its sweets. The most famous Bordelais pastry is Cannelé, which you’ll see in every bakery. If you’re going to taste it only once, try La Toque Cuivrée at 5 rue Sainte Catherine, which many locals consider it to be the best Cannelé in town. 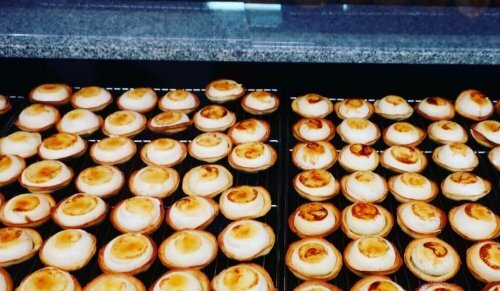 There are two other pastries that you can taste only in this area. Les Puis d’Amour from La Maison Seguin, (160 Avenue Charles de Gaulle) this is a pastry with a caramelized chiboust cream, found at the Marché de Capucins. And don’t forget Les Dunes Blanches at Chez Pascal (7 Rue de la Vieille Tour), which are Chouquettes filled with a delicious secret cream. 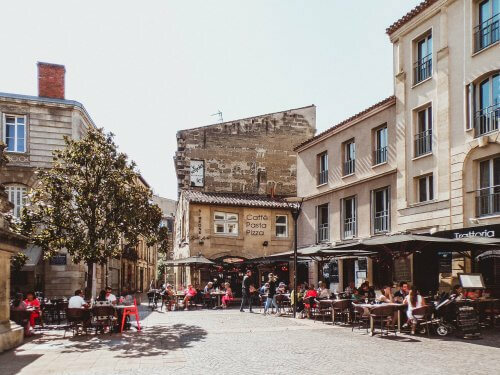 Among the 5 things to do in Bordeaux that I’ve handpicked for you of course, a favorite are the numerous brocante events and antique fairs in Bordeaux throughout the year. The French love hunting for special items for their homes and you can find one for every budget. However, if you don’t want to wait for a special event to buy an old picture or furniture, Saint Michel is your go-to place. Here you’ll find several antique and vintage shops next to the main square. Every Sunday morning there’s a flea market next to the Basilica, and a smaller one on Fridays. If you’re getting hungry head to la Mere Michel restaurant. It’s a great creperie and a vintage shop where you can buy almost any item you see. NOTE: Girls’ Guide to Paris leads trips to the Bordeaux region, why don’t you come along with us!